Died: 28th August 1916; age 25; KiA. Medals Awarded: Victory &British War. 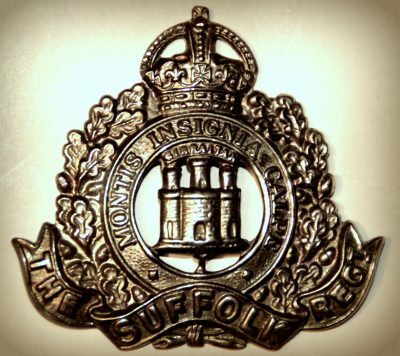 Relatives Notified and Address: Son of Mr. F. G. and Mrs. M. R. Browne, of 17, Westerfield Road, Ipswich. 1891 4, Great Whip Street, Ipswich. Thomas was 3 months old and living with his parents & sisters. Frederick George Browne, 32, a Corn Merchant’s Clerk, born Long Stratton, Norfolk. Martha Rebecca Browne (nee Mede), 30, born Great Yarmouth, Norfolk. Eva Mary Browne, 3, born Ipswich. Hilda Elizabeth Browne, 1, born Ipswich. 1901 4, Great Whip Street, Ipswich. Thomas was 10 years old and living with his parents & sisters. Frederick, 42, a Malster’s Clerk. 1911 4, Great Whip Street, Ipswich. Thomas was 20 years old, a Manufactures Clerk – Corset Factory. He was living with his parents & sisters. Frederick, 52, a Maltster Manager of Maltings.